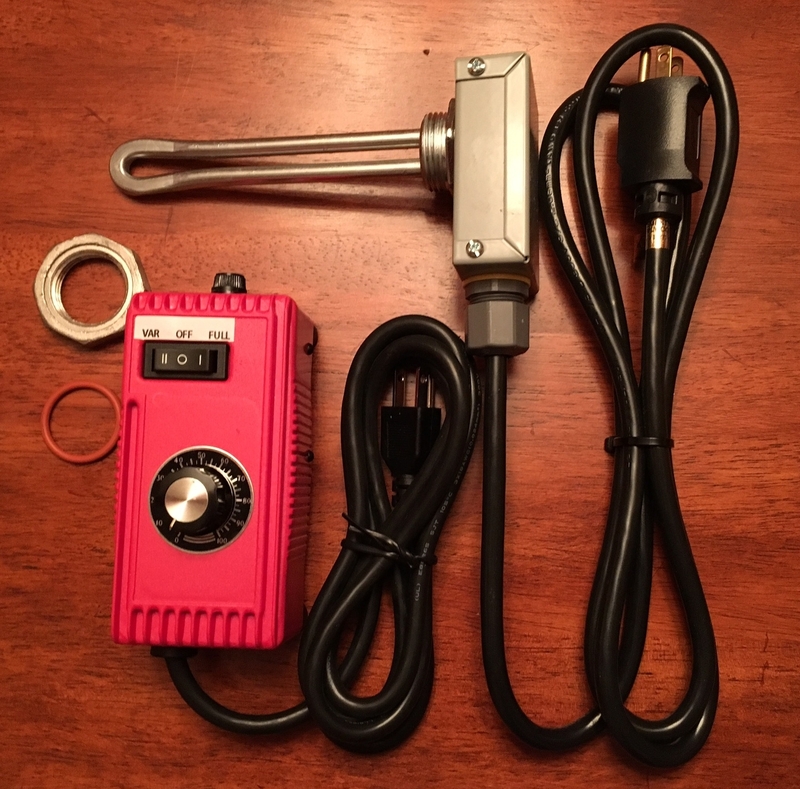 This is our 110v electric heating element. It can easily be installed in any of our units, or you can purchase it seperately here. The unit comes with a controller so you can control the temperature, it comes with a 110v electrical plug to easily use at home. 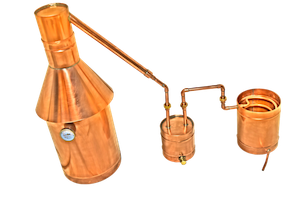 The unit is built in Wisconsin from a supplier who has been building electric elements for moonshine stills for 15 plus years. We have been doing business with this company for over 6 years and have never had any issues with the elements or controllers. If something fails or isnt working properly, we will see to it that your problems get solved. There is not necessiarly a lifetime warranty on the electric, however, the company we purchase these through are excellent with solving issues and we are sure you will be pleased with the transaction. Keep in mind that a 110v element and controller is only powerful enough for a 2 gallon or 6 gallon still, it will work on a 10 gallon unit but it will take 5 hours to heat up to temperature, therefore, you may be better off going with a 220v element and controller if you are looking to power a 10 gallon still. You could also purchase two 110v elements and one controller (ask us how) if you want to power a 10 gallon unit with two 110v elements if you are restricted to only 110v useage. and Free Shipping on all of our products. Manufacturer: The Distillery Network Inc.